In this Wednesday, Sept. 5, 2018, file photo, Facebook COO Sheryl Sandberg testifies before the Senate Intelligence Committee hearing on 'Foreign Influence Operations and Their Use of Social Media Platforms' on Capitol Hill in Washington. Facebook on Thursday said it not only probed billionaire George Soros' motivations for criticizing the platform, but also any potential investments he might have in the social media juggernaut, NBC News reported. 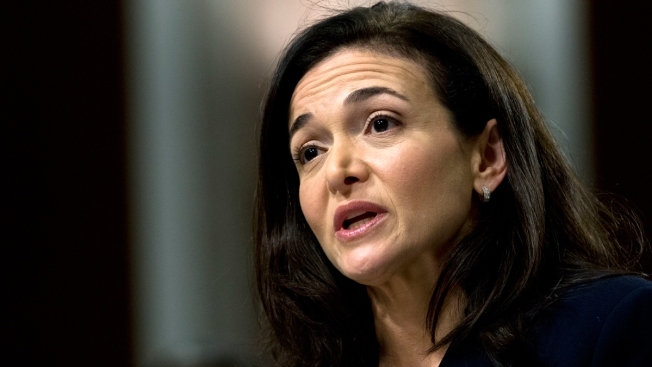 A Facebook spokesman said research on "potential motivations" for Soros' January tongue lashing of the platform was underway when Chief Operating Officer Sheryl Sandberg sent an email inquiring about Soros' possible position on Facebook stock. The admission was a response to a New York Times story Thursday that Sandberg directed senior communications and policy executives to look into Soros' investments following a speech at the World Economic Forum in Davos, Switzerland during which he called social media "nefarious."